Titled Icons, Need for Speed update 1.03 is out today on PlayStation 4 and Xbox One, developer Ghost Games announced. One of the key things you have told us since launch was in regards to the balance of the AI Catch Up system. We’ve been reading all of your feedback on this, watching your videos and tuning in to your live streams. With all this feedback in mind we have made changes to the AI behavior which should improve your overall experience. When the update arrives one of the first things you may notice is the new tile on the main menu screen. Located in the bottom left hand corner this tile will be giving you information about any community events that are running, or due to run. So what’s a community event? We’ve got three types of events that we’ll be running throughout the coming months, each one offering something a little different. The first event starts Friday, titled Performance Matters and will offer a 15% discount on all performance upgrades. The perfect time to go upgrade your new ride! If you’ve already begun your journey through Ventura Bay, you may have got your hands on Nakai-san’s Porsche or the 277 of Magnus Walker. In the next update Ken Block’s Hoonicorn and Morohoshi’ Lamborghini Diablo SV will also be able to be obtained. If you’ve already completed their respective missions the cars will be waiting in the garage for you to purchase, at no cost. With the Lamborghini Diablo SV or Morohoshi-San being included we thought this would be the perfect opportunity for you to take an early, in development look at neons. They will be applied to Morohoshi’s car only and here’s a taster of what you can expect. When coloring your car, your rims, or decals you will now be presented with a new color picker. This will feature recent colors, pre-set colors, recent materials, pre-set materials, and numerical values on the color sliders so you can be much more precise when selecting a color or material. Improved functionality around working with colors was one of the big bits of feedback we received in terms of the wrap editor and we’re pleased to be bringing this improved functionality to you all. There was resounding feedback from the community during the closed beta and through launch that this was important. Which is why we’ve decided to add it in! When accessing the layers screen there will now be a button prompt that allows you to send any layer from the left side of the car to the right (and vice versa). This works on both the side panels of the car, and side windows. Reputation (REP) is there for the taking and those heading onto the streets of Ventura Bay will now find themselves with even more REP to earn. The REP limit will be increased from 50 to 60. Included in the update will be a host of new Daily Challenges, with an eye on balancing the types of events with less focus on Outlaw. Once the update arrives, you will start to see new challenges appearing. We are expanding on the number of off-the-shelf wraps that are ready for you to use. In total we’ll be included thirty new wraps, ready for you to use across a variety of cars. A number of bugs have been fixed. We’ve tweaked things and made adjustments in other areas such as the AI catch-up. 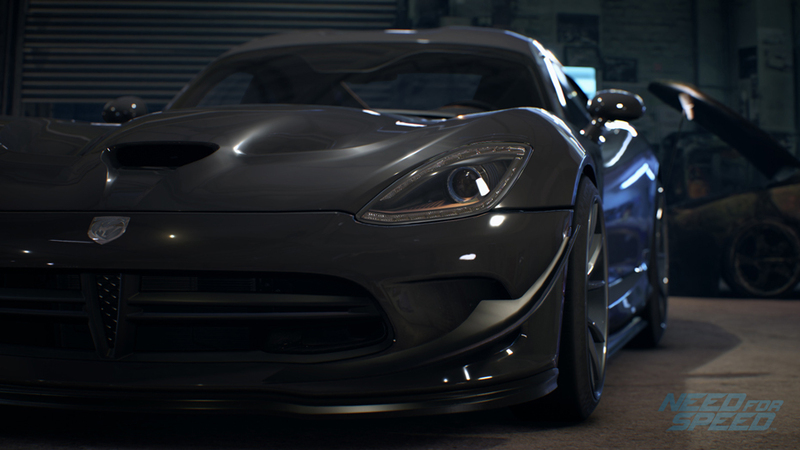 Players of Need for Speed should expect a survey this week to help shape the future of the game, which will include more free updates and DLC. You’ll also be able to pick up Need for Speed for $39.99 this Black Friday in the US at certain retailers.